Designed for smooth, silent photography and videography, the Panasonic Lumix G Vario Aspherical Power O.I.S. lens is a smart choice for every professional photographer. 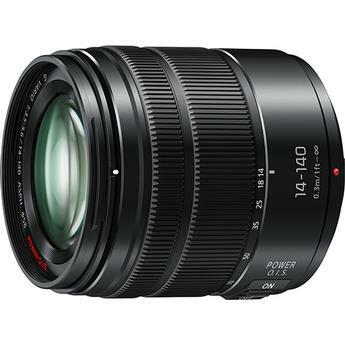 It has a focal length ranging from 14 - 140 mm and an aperture of f/3.5 - 5.6. The 10x optical zoom allows you to bring distant subjects close to your line of sight with little effort. Also, the power optical image stabilization technology compensates for both large and slow movement, as well as small and fast motion.